简介: What is American foreign policy? Who makes it? Why is it the way it is? How does it affect the rest of the world? Professor Bruce Jentleson has taught the subject for over 30 years, written one of the leading books on it, and has served in numerous U.S. foreign policy positions. 简介: This course will explore the forces that led to the 9/11 attacks and the policies the United States adopted in response. We will examine the phenomenon of modern terrorism, the development of the al Qai'da ideology, and the process by which individuals radicalize towards violence. 简介: An introduction to basic techniques of constitutional interpretation. 简介: An introduction to the main themes of the American Constitution—popular sovereignty, separation of powers, federalism, and rights. 简介: This course aims to nail down some of the basic issues that had been argued in the current research on peace and security. 简介: ¿Qué son las políticas públicas? Son la plasmación más concreta de la política. Lo que los gobiernos hacen, y dejan de hacer, para hacer frente a los problemas colectivos. Este curso trata sobre cómo se decide qué problemas abordar y qué soluciones adoptar. Un proceso primordialmente político y social que suele escapar al análisis puramente racional. 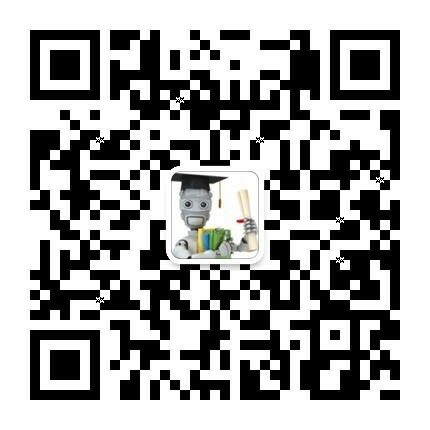 简介: This Final Project course is only available to learners who have earned a Verified Certificate in each course of the Challenges in Global Affairs Specialization (The Changing Global Order, Configuring the World, and International Organizations Management). You won't be able to enroll in this course if you do not have a Verified Certificate in each of those three courses. 简介: This course introduces the international and domestic laws, institutions, and legal and political theories that protect basic liberties of all human beings. The course provides an overview of the internal law of human rights and the principal mechanisms and strategies for holding governments accountable for violating those rights. 简介: This course is about the historical, sociocultural, and economic causes of Latin American migration, and the economic, political, and cultural impact that the Latino/a population has in the physiognomy of this country. It situates the Latin American migration in the global scenario and the Latino/a population in the national arena. 简介: How can we know if the differences in wages between men and women are caused by discrimination or differences in background characteristics? In this course we look at causal effects as opposed to spurious relationships. We will discuss how they can be identified in the social sciences using quantitative data, and describe how this can help us understand social mechanisms. 简介: This course explores main answers to the question, "When do governments deserve our allegiance?" 简介: How can we explain kindness and cruelty? Where does our sense of right and wrong come from? Why do people so often disagree about moral issues? This course explores the psychological foundations of our moral lives. 简介: This course discusses research findings in the field of positive psychology, conducted by Barbara Fredrickson and her colleagues. It also features practical applications of this science that you can put to use immediately to help you live a full and meaningful life. 简介: The United States criminal justice system is typically an accurate and efficient system. Although, as a human creation, it is not perfect. This course will employ a social scientific perspective to understand why innocent people are sometimes convicted of crimes they did not commit. In this course we will discuss wrongful convictions, their causes, and their solutions. 简介: In this course we will study Plato's ancient art of blowing up your beliefs as you go, to make sure they're built to last. We spend six weeks studying three Platonic dialogues, then two more weeks pondering a pair of footnotes to Plato; that is, we will consider some contemporary manifestations of issues Plato discusses. The more things change, the more they stay the same. 简介: 9/11 was a devastating attack the required a comprehensive response from the United States. This course will examine post-9/11 U.S. counterterrorism policies regarding the use of military force, law enforcement and intelligence collection, and domestic security. We will trace these policies to the current day and assess their legality, ethics, and efficacy. 简介: What are science, technology, and innovation? How do science, technology, and innovation inform our understanding of developments in the social sphere? How have these domains evolved in the Chinese context? In this course, we will examine these issues and attempt answering these and many other questions! 简介: This course is the second in a trilogy of short courses. In this part, we apply some of the concepts we covered in Part I to study the development of science and technology in Chinese society, particularly in light of the influence the Industrial Revolution in the West has had on China’s technological development. 简介: This course is the third in a trilogy of short courses. In this final part, we integrate what we have learned in the previous two parts to investigate the evolution and implications of Chinese government policies designed to promote scientific and technological progress. Based on this, we will attempt to sketch a picture of the future of science and technology in China. 简介: This course will explore questions relating to the who, what and how of terrorism studies by introducing students to cutting edge research and the experts investigating these topics. 简介: Курс дает студентам двойную выгоду. Они учатся ЧТО и КАК сравнивать. Они изучают важнейшие институты, режимы и практики. Они осваивают целый ряд способов анализа от всеохватных до казусно ориентированных сравнений.